Industry Canada announced today that it would auction the remaining blocks of 700Mhz and AWS-3 spectrum that went unsold during their original blocks. On an unspecified date in August, companies will be able to bid for 18 new licenses that have been split from four larger blocks in relatively underserved provinces and territories: Yukon, Northwest Territories, Nunavut, Manitoba and Saskatchewan. The only 700Mhz block, which originally encompassed both territories and Nunavut, will be split into three, with one license in each region. Thirty megahertz of AWS-3 in those same regions, which also went unsold, will be split into three 10Mhz licenses in all areas. A single remaining unsold 30Mhz block of AWS-3 spectrum in both Manitoba and Saskatchewan will be split into three 10Mhz licenses in each respective province, too. The goal is to make these smaller bite-sized licenses easier for companies to stomach, potentially attracting larger telcos to bid on spectrum in areas where they either have limited service today, or see limited potential to expand in the future. Rogers, for example, owns little spectrum in the territories, and regional incumbents like SaskTel and MTS have enormous market share in their respective provinces. 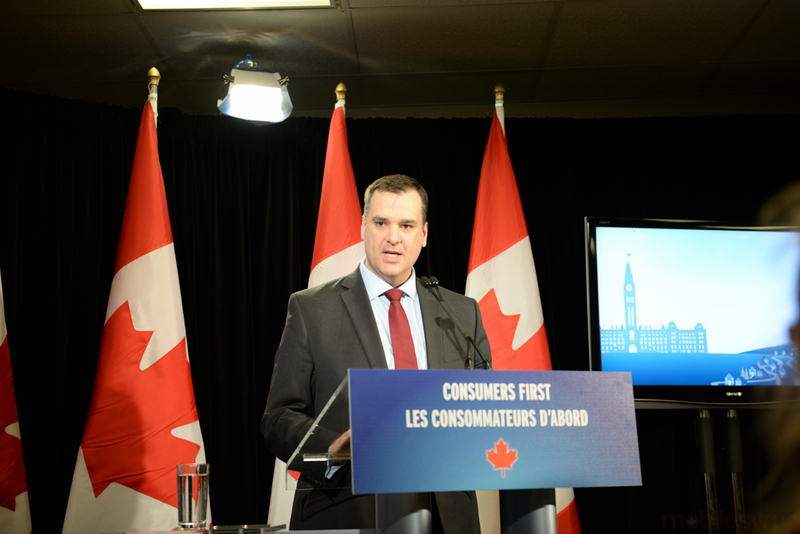 Industry Minister, James Moore, notes that “our job as a government [is] to ensure [spectrum] is allocated in such a way that encourages robust competition.” This being the third auction of 2015, it will be interesting to see if this license division will spur bidding where interest previously lacked.